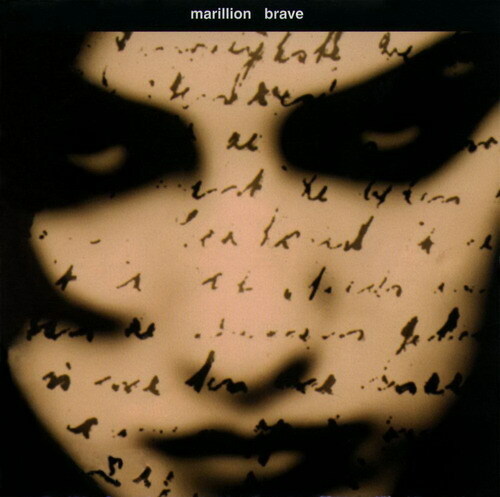 MARILLION - BRAVE This album represent for me the highest point during the Hogarth era.Despite i'm a huge fan of the Fish era,this cd shocked me and has become (together to Marbles) one of my preferite Marillion's efforts.Brave is a concept,based on an original story of alienation and solitude,and eleven superbly-crafted songs guides you towards this psychedelic tale.An excellent lyric work by Steve Hogarth meets a Steve Rothery "goldfinger" that chisel worderful solos during the entire opera,expecially during "Runaway","The Bridge"(this solo has a very similar pentatonic structure with "The Web"'s solo,script for a jester's tear)and "Goodbye to all that".An impressive rhythmic section,lead by the greats Mosley and Trewavas surround all the work. Tracklist: 1. Bridge (2:52) = the intro of this album,a slow keyboard piece that ends with the delicate voice of Hogarth who open the first part of the 2nd song.Very peaceful and symphonic. 2. Living with the big lie (6:46) = by my opinion one of the highlights,and my preferite piece of this cd. A delayed guitar opens the show with a kind riff in the perfect Rothery's style(Slainte Mhath,Kayleigh,Childhood's end?) accompaigned by the fine voice's work of Hogarth.At 1:53'' the song become more rock,with an excellent simil-purple guitar pattern.The song ended in a vanishing climax,like some radio programs.Outstanding. 3. Run away (4:40) = The most beautiful ballad of this opera,wich contains one of the most involving and well-crafted rothery's solos.Pay attention to the words of this song,you can adore Fish 'till death,but when Hogarth throw out from the cylinder a text like this,and sing like this,we need to remove the hat in front of him.Dreaming. 5. Hard as love (6:41) = A 70' rock song during the first 2:10 minutes,they change totally in a piano/keyboard driven act,pilotated by the oniric lyrics of steve hogarth,except then return in the ending like the first rock part,but much harder and in some passagges like some kind of metal bands.But better.It reminds me "Emerald Lies".Except the bass.Chamaleontic. 6. The hollow man (4:08) = A sweet piano ballad,very beautiful,with the usual excellent voice's work by Hogarth and an interesting use of the brushes by Mosley in the central part of the song. 7. Alone again into the lap of luxury (8:12) = A metal guitar open to you the first seconds of the song but change quickly in a smooth arpeggio surrounded by a very good keyboard orchestration.To difference of other songs of Brave,this ends in a calm way,and not with the cacophonic use of the instruments done in the first songs of the album.Cacophonic in the good sense,of course.Almost an epic,but still great. 8. Paper lies (5:49) = Electronic noises are common during this piece,in particularly during the beginning and in the ending together a wah-wah riff made by the whammy bar(i think).The guitar riff is builted in a blues style that give an interesting novelty and a gust of freshness in an album that began to become too dark.Nice song,but not at the other's level. 10.The great escape (6:29) = The happiest song in the entire cd,and the first ray of sunlight after nine songs of dark.Great chorus and an incredible guitar/keyboard work make the great escape one the highlights of the disc.In this act you can hear all of the Mark Kelly's technique,and it seems like the man that there wasn't,but you feels. In conclusion i have only two words about this masterpiece.BUY IT.Brave is an essential neo-prog act that any progster should have in this collection.Sure.